Unfortunately, the Brunton 8099 Pro Compass is no longer available. 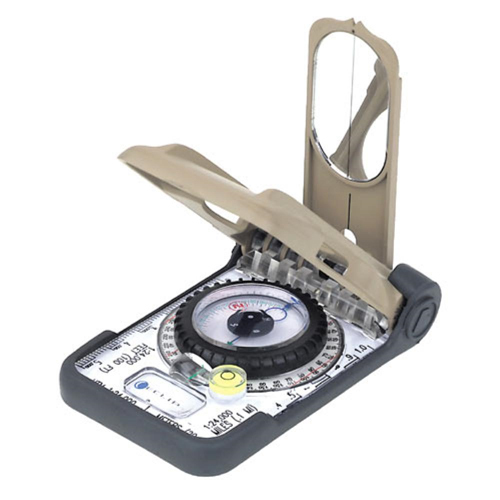 You can explore other items in the Navigation & Compass category yourself to try and find the perfect replacement for you! Brunton 8099 Pro is incredibly simple to use and comes with extra valuable information on a set of laminated cards. 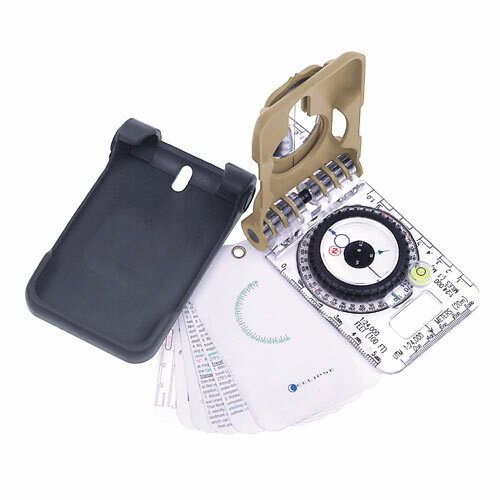 With it's robust set of features, you'll never need another compass..
Our nicest base plate compass comes with a number of useful tools for professionals. The 8099 Pro features our Eclipse® three clinometer systems and circle-over-circle alignment system. A round bubble level adds the power to acquire even more precise strike and dip measurements. Simply peel back the durable rubber base to discover our informational field reference cards. Where can I get magnetic declination information? Which compasses have a saphire jewel bearing? What are the Brunton Compass vials filled with? Mineral oil and an anti-static substance. What is the difference between the 8099 and the 8099 Pro? The Brunton Company warrants the 8099 to be free of defects in materials and workmanship for one year.